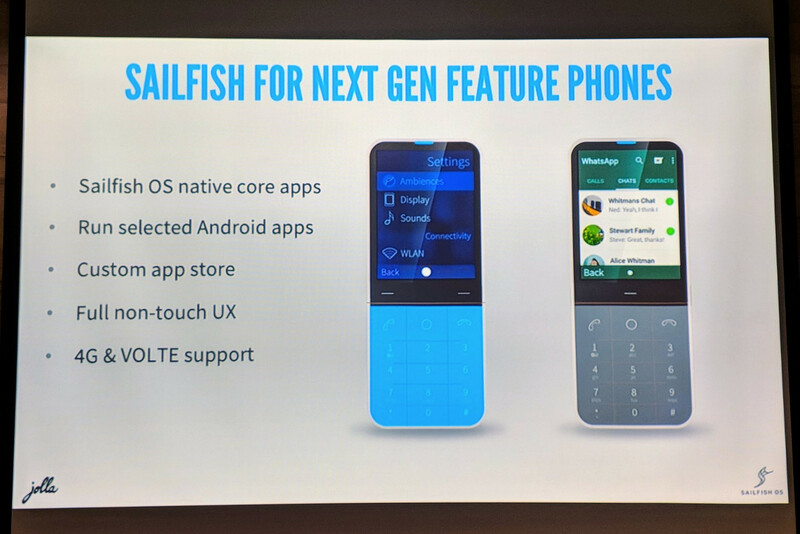 Jolla has announced a new major version of Sailfish OS at the Mobile World Congress, which will simply be known as Sailfish 3. The new version will feature an updated application store, support for 4G, VoLTE and should have noticeable performance improvements. Sailfish 3 will also be made available for more devices. 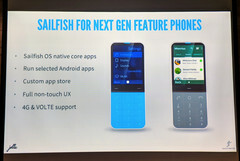 Sailfish OS is a mobile operating system produced by the Finnish company Jolla and is known as a spiritual successor of Nokia’s MeeGo platform. The first phone with Sailfish OS launched in 2013. Jolla has announced that they’re working on version 3.0 of the operating system which should release in the third quarter of 2018. According to the company, Sailfish 3 will be significantly faster than previous versions with performance improvements of up to 30 percent. Aside from native applications and a custom app store, selected Android applications will also be compatible with certain Sailfish 3 devices. 4G, voice over LTE, integrated fingerprint scanners and VPN’s are now compatible with the OS as well. Remarkably, Jolla states that Sailfish 3 will also run well on cheaper phones without a touch display or ‘featurephones’. The user interface can be controlled completely with hardware buttons instead of touchscreen gestures. Jolla announced that upcoming Sony Xperia A2 will be fully compatible with Sailfish 3, and announced support for a couple of other devices such as the Gemini smartphone from Planet Computers and two tablets from Inoi aimed at the Russian market. The Russian and Chinese governments are particularly interested in the developments of Sailfish OS, as they see it as a viable alternative to iOS and Android for government employees.